Hyper has announced a brand new USB-C hub which packs a built-in wireless charger, capable of pumping out 7.5-watts of power for fast charging an iPhone on the go. A USB-C Hub for Your MacBook with a Built-in Wireless Charger? It’s Real. And Hyper has Made One! Apple’s decision to drop the full-size USB-A port on its lineup of products in favor of Thunderbolt 3 / USB-C managed to spring a wave of USB-C dongles, docks and adapters. The new one from Hyper, called the HyperDrive, is unique in many ways. Apart from packing a usual assortment of ports, it even features a wireless charger built right in. 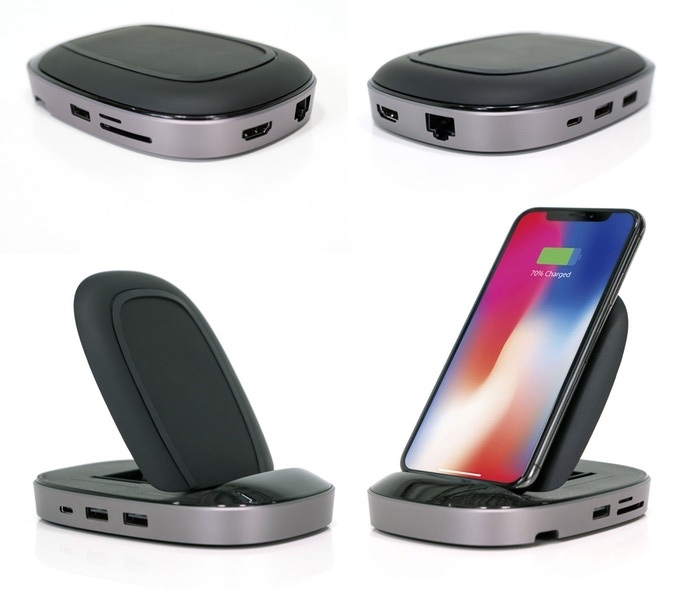 But it’s not just an ordinary wireless charger. 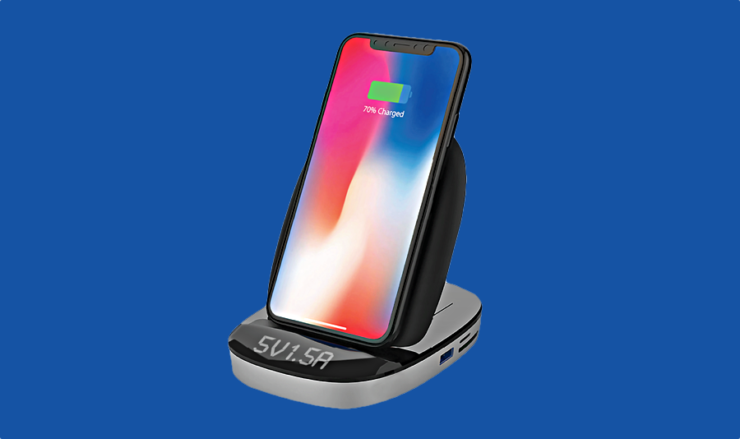 It supports up to 7.5-watts of fast charging if you happen to have the iPhone 8, iPhone 8 Plus or iPhone X smartphones. Even if you don’t, you can still expect it to pump up to 10-watts of wireless power for supported Android devices. On the ports front, the HyperDrive features eight in total. This includes 3 USB-A 3.1 ports, 1 USB-C Power Delivery port, microSD and SD card slots, Gigabit Ethernet port as well as a 4K HDMI port. The wireless charger bit of the HyperDrive is the thing that’s most interesting here. The company behind it, called Hyper, claims that their creation runs cooler compared to everything out there in the market. You can even adjust its angle if you so wish, making it perfect for situations where you want your iPhone to stand upright while charging. HyperDrive also has a built-in, retractable USB-C cable if you want to connect it to your MacBook or a power outlet. Speaking of which, you can use the dock as a standalone charger too. This means it is also a perfect traveling companion, if you want it to be.